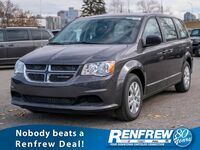 If you’re looking for a new vehicle with seating for up to seven and plenty of space, the 2019 Dodge Grand Caravan in Calgary, AB should be on your radar. 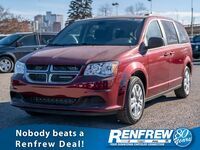 The 2019 Grand Caravan is offered in three trim levels: SE, SE Plus and SXT. 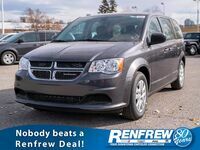 Each trim offers plenty of value, coming equipped with an impressive set of comfort and technology features. 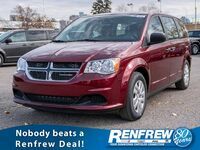 Every 2019 Dodge Grand Caravan model is powered by a 3.6-liter V6 engine which outputs 283 horsepower and 260 pound-feet of torque. This engine is paired to a six-speed automatic transmission system. 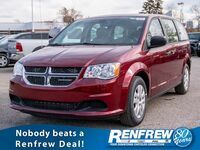 Standard 2019 Dodge Grand Caravan features include heated mirrors, tri-zone climate control, a six-speaker audio system, a CD player, an auto-dimming rearview mirror and a 6.5-inch touchscreen display. 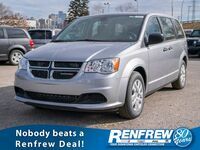 If you value minivans because of their spacious interiors, the 2019 Grand Caravan is an excellent option. 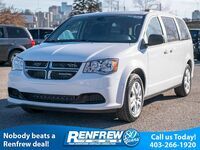 There’s an abundance of cargo space inside the 2019 Grand Caravan: With all seats in place, drivers can utilize 31.1 cubic feet of cargo space. The second and third row seats can be folded down to achieve a maximum cargo capacity of 140.3 cubic feet. Overall, this minivan was measured by the Environmental Protection Agency to have an interior volume of 189.7 cubic feet. 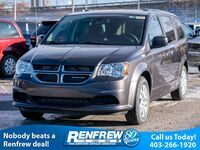 In terms of optional features, drivers who opt for the 2019 Grand Caravan’s SE Plus and SXT trims will enjoy a variety of upgrades and additions. These available features include automatic headlights, upgraded upholstery, additional exterior styling elements, roof rails, a power liftgate and dual-zone air conditioning. 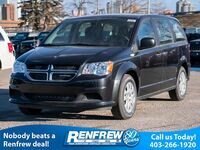 Standard 2019 Dodge Grand Caravan safety features include: Traction control, tire pressure monitoring, emergency braking assistance, rear door child safety locks, daytime running lights, an engine immobilizer, a post-collision safety system, child seat anchors and stability control.